Breast surgeon consulting at 4 locations in Brisbane. She participates in the National Breast Cancer Audit and regularly participates in a multidisciplinary meeting held at the Wesley Hospital on a fortnightly basis. Dr Melinda Cook is a specialist breast surgeon whose practice is exclusively confined to treating benign and malignant breast conditions. This includes assessment, diagnosis and incorporating a multidisciplinary, holistic approach to treatment. Dr Cook also monitors patients in high risk groups and can offer prophylactic surgery if required. Melinda completed her medical training in 1995, graduating from the University of Queensland. She completed advanced surgical training in 2003 at Royal Brisbane and Women’s Hospital. Following this she completed a year as the Burns and Trauma Fellow in 2004 and the Ramsay Breast and Endocrine Fellow in 2005. Dr Cook aims to maximise the cosmetic result following breast conservation surgery for breast cancer and works closely with a plastic surgeon to perform skin sparing mastectomy and reconstruction both in the preventive setting and as treatment for cancer. Using techniques learnt in burns training, she can offer a variety of approaches for scar management. Dr Cook utilises a multidisciplinary approach to the management of breast cancer, liaising with oncologists, physiotherapists, breast care nurses and counsellors to achieve an integrated patient centred approach to treatment. Melinda has been in private practice since 2006. She operates at the Wesley Hospital Auchenflower, Holy Spirit Northside Hospital at Chermside and North West Brisbane Private Hospital. She is one of the first breast surgeons to embrace the newly established Breast Health Centre at Holy Spirit Northside. She has interests in optimising whole cancer care, including reconstruction, sentinel node biopsy and multidisciplinary treatment. Melinda is particularly keen to optimise communication with her patients and will document key points made during the consultation for the patient to take home. Melinda has appointments at Breast Screen Queensland and the Wesley Breast Clinic as a VMO. She is a member of the Medical Advisory Committee at Holy Spirit Northside. She has participated in the National Breast Cancer Audit since its inception. In her spare time, Melinda enjoys being walked by her border collie, swimming and occasionally playing tennis. She also enjoys gardening and trying to teach her children how to minimise their chocolate loving gene tendencies. 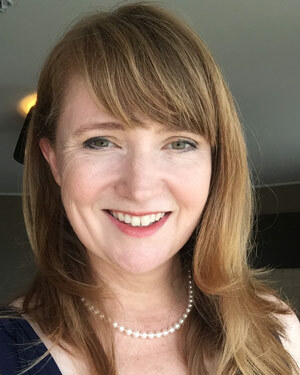 Dr Melinda Cook is a breast surgeon consulting at North West Specialist Centre – Everton Park, Wesley Medical Centre – Auchenflower, St Vincent’s Breast Health Centre – Chermside and now the North Lakes Specialist Medical Centre – North Lakes. Dr Cook treats benign and malignant disease of the breast. She participates in the National Breast Cancer Audit and regularly participates in a Multidisciplinary meeting held at the Wesley Private Hospital and St Vincent’s Private Hospital Northside on a fortnightly basis. © 2019 Dr Melinda Cook. All rights reserved.